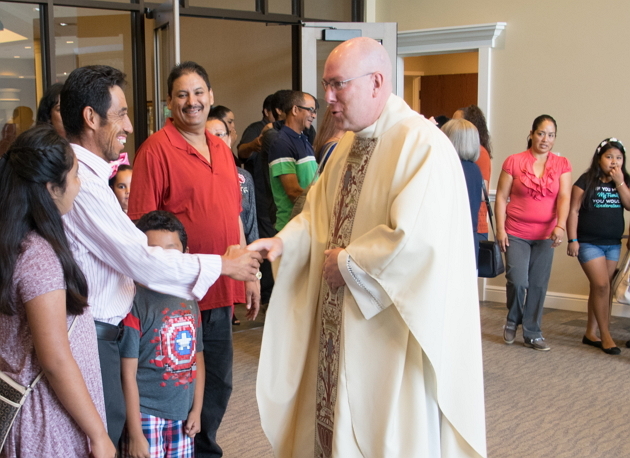 Our fundamental mission as a parish family is to announce the Good News of Jesus Christ and thus form our members into a community of disciples who make God’s love known. 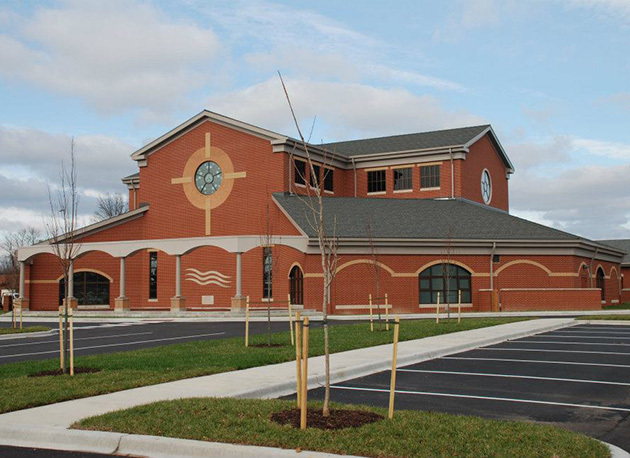 We are entering historic times in the life of St. Peter the Apostle parish. As your new pastor, I am thrilled with what God is doing and will do through us as a parish family. I know that you share my enthusiasm and gratefulness for this time and place in the emerging history of our great parish. 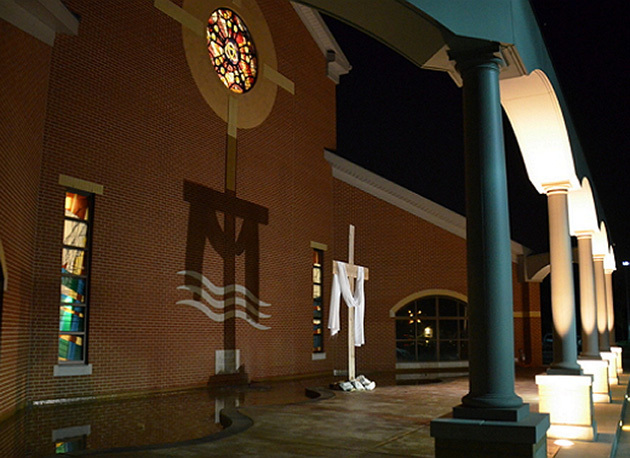 For 10 years, the parish has been enjoying the new worship space. Yet, our beautiful church is not completely paid for, nor is the rest of the building very functional or useable. 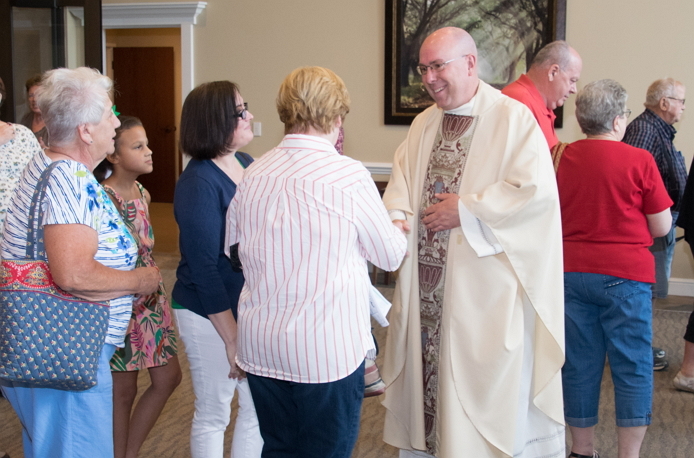 Following, therefore, the Archbishop’s encouragement to all parishes to engage in a spiritual discernment process, St. Peter underwent that experience last year, looking at our mission and praying about our needs. The result? 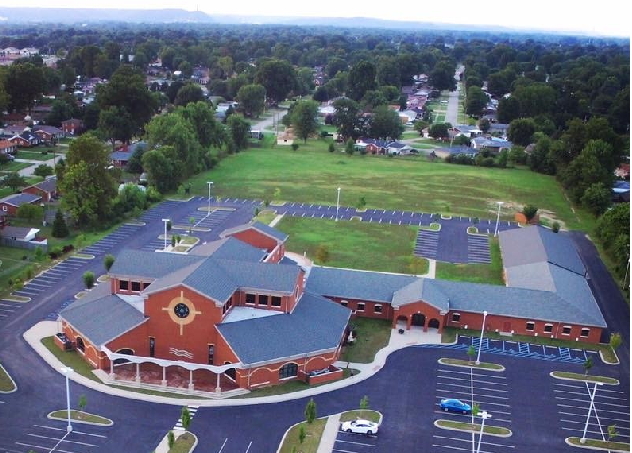 It became crystal clear to your pastor at that time, Father Chuck Walker and lay parish leaders, that St. Peter the Apostle Church needed to aggressively seek to pay down debt and renovate the adjoining building, providing a fellowship gathering space seating 400+ parishioners and have adequate bathrooms. With these two needs clearly identified, the parish engaged in a feasibility study under the director of Generis-Ashley|Rountree. The response was overwhelmingly positive. Parishioners agreed debt needed to be reduced and a Parish Community gathering space needed to be created. Further, the Generis study said we could potentially raise between $1.5M to $2M dollars in a 3-year capital campaign. 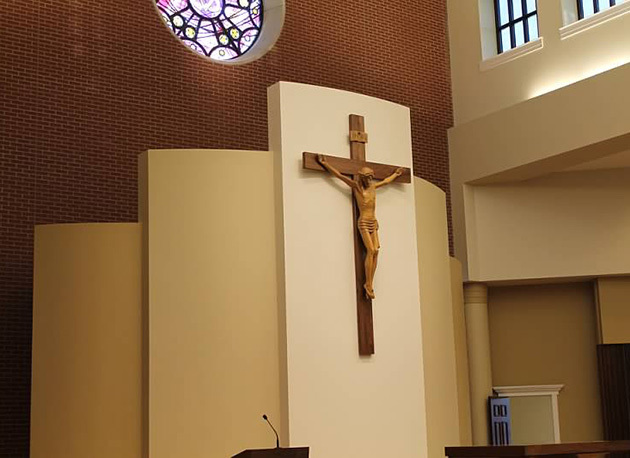 The decision was made, therefore, to request Archdiocesan permission to conduct a capital campaign, applying $1M to the renovation costs and $1M to the reduction of parish debt. Today, I am thrilled to announce to you the capital campaign is in full-swing. We are calling the campaign “LIVING STONES” as we are asking every family to be a “living stone” and help build the parish dream, creating a beautiful gathering space, commercial kitchen, with fully-equipped, accessible bathrooms and to significantly drop our debt while we are at it, too. For our parish to experience a successful campaign, we must have the generous support of everyone and the extraordinary giving of a few. Everyone’s gift matters, just as everyone’s participation matters to the Kingdom of Christ and His Church. Will you pray. Will you be generous? Will you join this effort? Our plan is a good one. It is needed, too. This space will help bring all of our faith family together from the many traditions of our past to new traditions and new memories for the future of our parish. Big and small food events, programs, and community gatherings will be made possible with a commercial-size kitchen with adequate, accessible bathroom facilities. 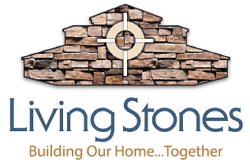 I am excited to see our church moving forward as Living Stones, Building Our Home, Together. But I need your help. I am asking you to join me in making an extraordinary and generous gift. Soon, I will share with you in Mass what I believe God is leading me to give over the next 3 years. Although I’m new to St. Peter, I would not ask you to do something I would not do. I believe we can grow our family and make our church stronger and greater. Read the enclosed materials. Pray. Ask God to lead you. Then, join me, giving generously and, together, let’s give God glory as Living Stones, Building Together.